Just like the other instant messengers, AIM program lets you exchange text, voice and video messages with buddies over the Internet. 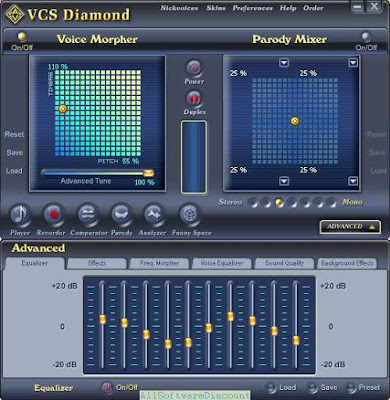 By following this step-by-step tutorial, you will learn how to use Voice Changer Software 8.0 Diamond to change your voice (e.g., female to male, young to old, etc.) while you are on AIM. Open AIM and log in with your AIM account. Select a contact within your contact list, click on Start Video icon on top-right corner of the program's main panel. Select Allow within Adobe Flash Player Settings dialog pop-up to grant the service access to your camera and microphone. 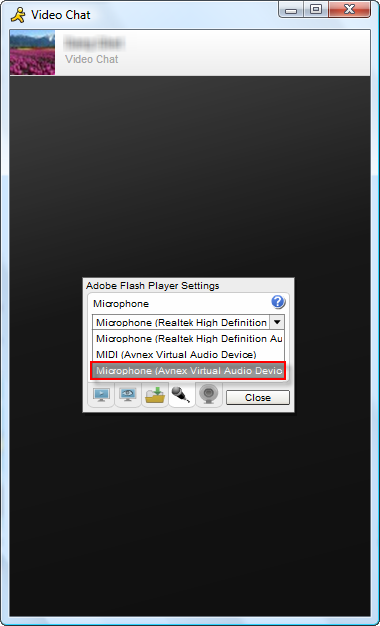 Then, switch to Microphone tab and change to Avnex Virtual Audio Device as default microphone device. Now, the morphing effects will be applied automatically. 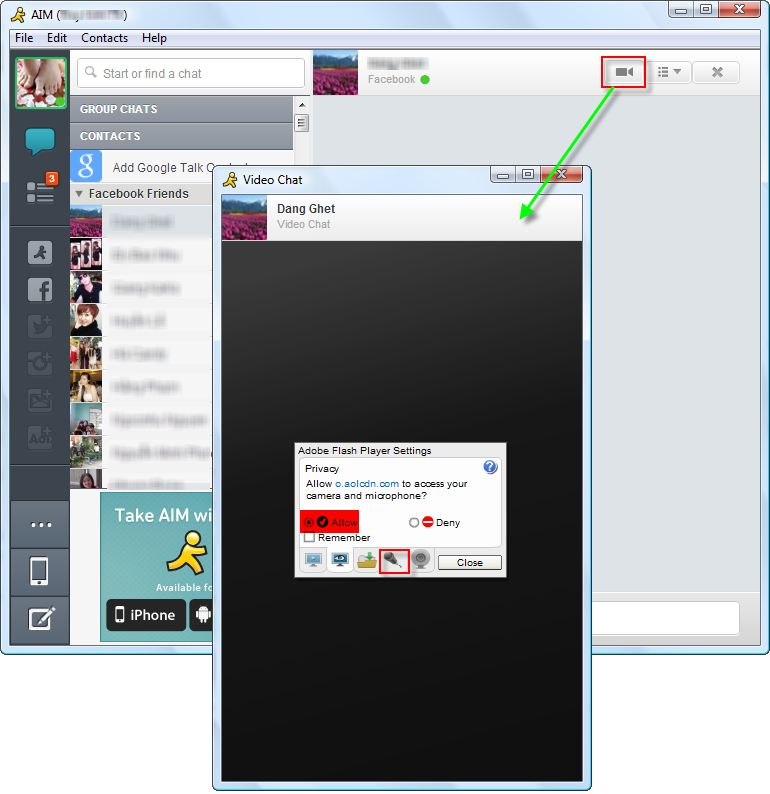 And you can start the voice chat session on AIM with your voice changed.